There’s really only one reason that your water softener is no longer able to prevent the iron stains; Iron Fouling. Iron fouling is when iron turns to rust inside your water softener’s resin and gets stuck. This rust cannot be cleaned with salt or leading iron treatments. This rust slowly builds up and clogs the resin, preventing the softener from stopping the iron stains. Crystal Clean is the only iron treatment strong enough to safely remove 100% of the trapped rust buildup in your softener’s resin. Crystal Clean is organic, contains no acid, and has a molecular bonding strength 10x higher than the acid treatments and rust removing salt. It’s this high molecular bonding strength that easily removes the rust build-up from the softener’s resin that the other treatments leave behind. Don’t give up on your water softener. Convert it to a powerful iron filter! 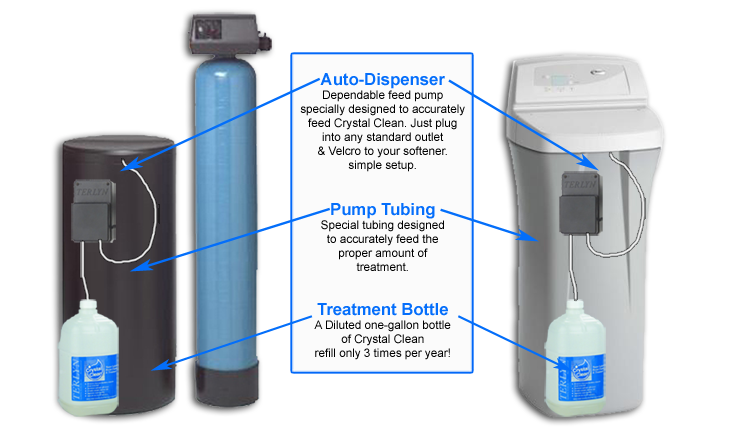 No other treatment even comes close to the dramatic results that Crystal Clean has in reviving an iron-fouled water softener, guaranteed or your money back. 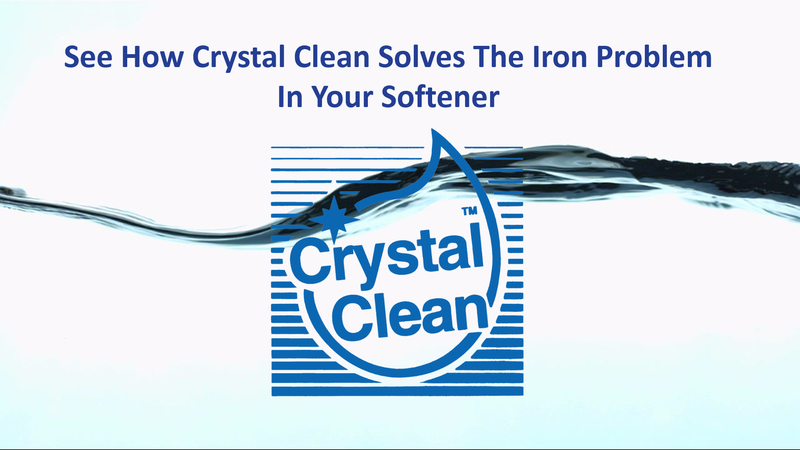 Step by step explanation of how Crystal Clean solves the iron problem in a water softener on a molecular level. Setting up a Crystal Clean system is very easy. The Crystal Clean System consists of a small pump that attaches to the outside of your brine tank and feeds into the brine tank.